As I wrote earlier, it was a holiday weekend and quite hard to find accommodation in Naples. 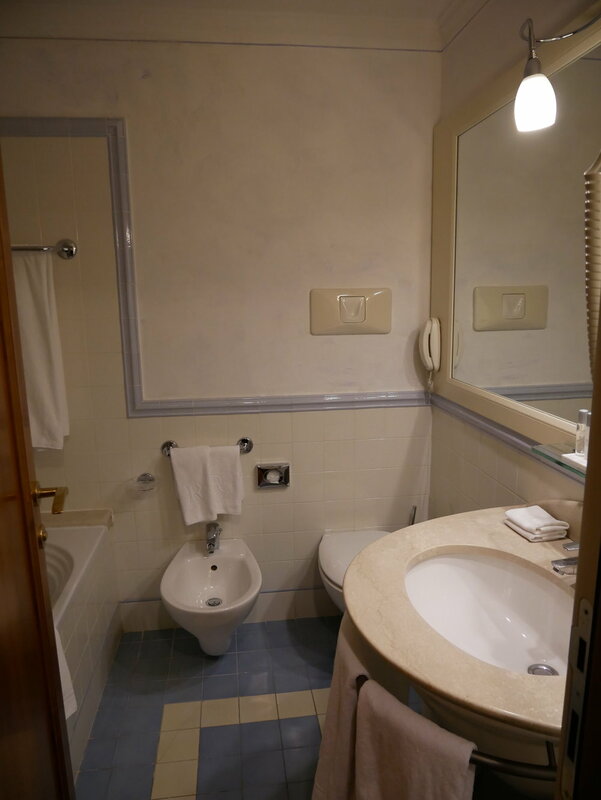 I wish I could have stayed at Hotel Il Convento another night - it was such a good hotel and I often find that the smaller, independent hotels in Italy offer more of a welcoming, warm feeling than the larger international chain hotels. But, Hotel Il Convento was fully booked, and the other options were slim pickings indeed. Lots of lowly rated hotels, or hotels near the Central Station (which apparently is more of a sketchy neighborhood, and farther from the tourist sights). So I resigned myself to booking a room at the Renaissance Naples Hotel Mediterraneo, which turned out to be quite close to Hotel Il Convento, on the other side of Via Toledo. ...as was the bathroom. A bit pedestrian for a four-star hotel, I would say. I'll say that the heating in the room got quite warm, so warm in fact that I had to open the window at night. I did have a nice view of the Bay of Naples and Mount Vesuvius! 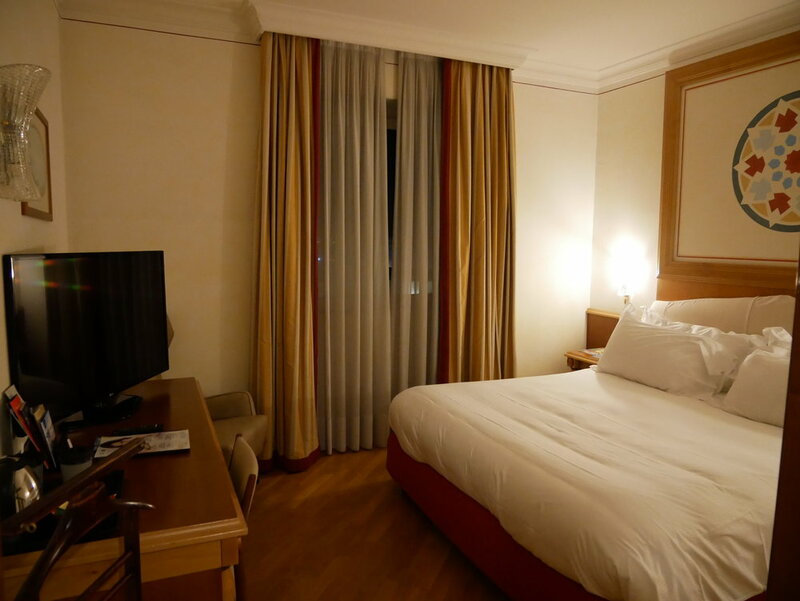 Perhaps I was assigned a nicer one because of Marriott Gold status? Marriott Gold also entitles you to breakfast at Renaissance hotels, but my room rate already included breakfast. The breakfast room is at the top floor, and was quite full by the time I went to eat, but I didn't have to wait for a table. Like my past two nights, there was a good selection of cold cuts, cheeses, fresh fruit, and cakes, along with juice and coffee. Just outside the breakfast room was maybe the hotel's best asset: a rooftop terrace with panoramic views. Looking in one direction, you have the Bay of Naples and Mount Vesuvius. In the other direction, you have Vomero Hill. 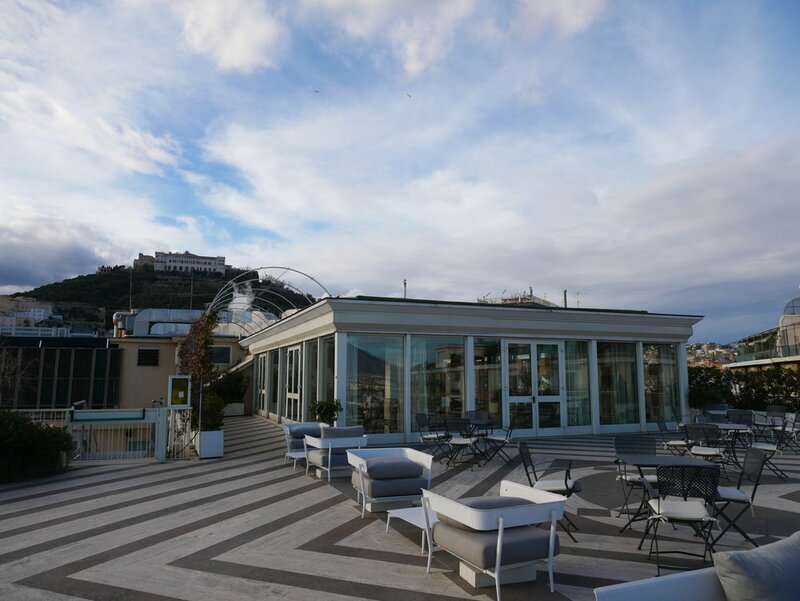 The receptionist at Hotel Il Convento had said that from that hill you have the "classic views" of the Bay of Naples, but with views this nice from the Renaissance, I didn't feel the need to venture up there. 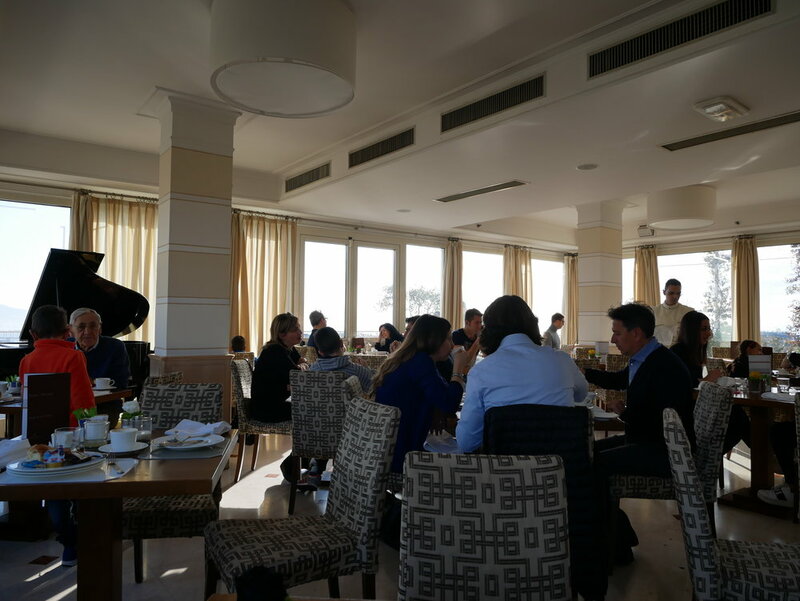 In the end, the room was fine, the service was professional, the breakfast was okay too. Next time in Naples, I would still return to the Hotel Il Convento, but staying at the Renaissance Naples did give me the gift of these fantastic views. And with Marriott Gold status and 4pm late check-out granted with no hesitation by the front desk, I was able to come back to the hotel in the afternoon to enjoy the view one last time.